Welcome! Truthbomb Apologetics strives to offer apologetics resources to encourage and challenge both believer and unbeliever. Video: Greg Koukl- "If God is All-Powerful, Why does Evil Exist?" What is the purpose of my life? Begin your search for the answers to these critically important questions here. This resource has been added to our "An Apologetics Arsenal" found here. 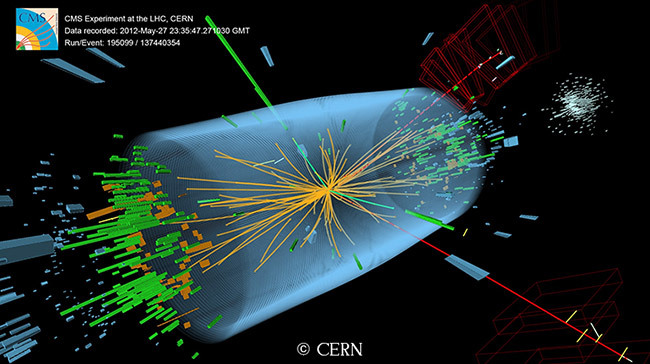 Learn about the Higgs Boson or "The God Particle"
The recent Higgs Boson discovery [also known as "The God Particle"] has been all over the news as of late. Reasonable Faith Podcast: The God Particle featuring William Lane Craig NEW! You can find some great links offered by Luke Nix of Faith Thinkers here. In today's featured 3 part article, Reasons to Believe scholar Kenneth R. Samples discusses the importance of practicing An Intellectual Code of Conduct when interacting with opponents of your position. Samples shares 3 rules that can help thinkers maintain a fruitful and respectful dialogue. You can find this three part article here, here and here. For more from Kenneth R. Samples, go here. If you have a question, suggestion or comment that you would like to share with us, please email us at truthbombapologetics@gmail.com. Do You Have Questions about Jesus Christ?